As a member of Strike Ten Entertainment or the BPAA, you now have access to an invaluable resource for Social Media Content. The content provided includes professionally produced Bowling themed Videos, Photos and Social Posts. SCROLL OVER OUR DEVELOPMENT PROGRAMS FOR MORE DETAILS. The “Bank of Promotions’ is an ongoing series of affordable, effective and easy to to implement league and casual play programs designed to help you fill any holes you may have in your league schedules. Everything you need to market your center as the Official Headquarters for special events. Materials include, web banners, Facebook images and editable flyers. 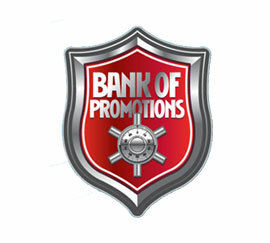 CLICK HERE for your “Official Headquarters Marketing Materials!" Become one of the most progressive bowling centers in the U.S. Membership is easy and FREE! 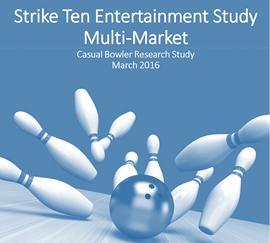 Strike Ten programs are designed to drive traffic to your bowling centers, increase revenue, generate new business and introduce consumers to bowling. www.gobowling.com; center recognition and zip code search on GoBowling.com website. New customers can find your location on this website as well as request parties and events at your bowling center. Strike Ten Entertainment provides members with quarterly newsletters, industry news, marketing tips as well as information on current and future program information. you’ve loved since you were a kid! Thinking about changing up your snack bar menu boards? The SCN MOBILIZER for Bowling Centers - visit the website below! To place an order, please contact your Pepsi Distributor. At Musselman's, they believe making healthy, delicious apple sauce is more than just a job. It's a way of life.